Yardley Nutrition Yardley PA | Paul M. Bizzaro, D.C.
Paul M. Bizzaro, D.C. seeks to help you find the root cause of your health problems. Nutrition is a big piece of the wellness puzzle, and unfortunately, many people make poor dietary choices that can negatively influence their health. If we lived in a perfect world with pristine air and water with everyone eating only organic food, your body would get what it needs to function optimally on a normal day. Since we don’t live in a perfect world, it’s important that we make the best choices with our health, especially our nutrition. Stress is something we must face every day, and it takes a toll on our health. It creates a chemical imbalance in the body, often taxes the body emotionally, and depletes the body of nutrients. To put things back into balance and optimize health, it’s important to take high-quality supplements. Standard Process®, MediHerb®, Desbio, and Pure Encapsulations® are the primary lines of supplements we carry. They’re of the highest quality available and offer superior results. 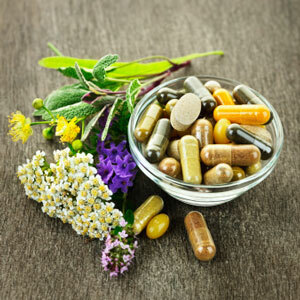 Homeopathic remedies are also available to those seeking to reduce their medication intake or for vegans or vegetarians with special dietary requirements. Dr. Paul uses advanced modalities and traditional protocols to determine your nutritional deficiencies. Then we create personalized plans to help you get healthier. One of the tools we offer is a ZYTO machine. With this device, you put your hand on it, and it measures the bioelectrical impedance in the hands. Though it’s not a diagnostic tool, it’s relatively accurate when it comes to detecting what health issue you might be experiencing. Also, Dr. Paul can provide Saliva and DNA test kits and order detailed blood panels to analyze. From there, we can tailor a specific nutritional regimen unique to you! Dr. Paul has personally experienced trauma from health issues. His own experiences are what drew him to learn more about nutrition and how it impacts total health. If you, like Dr. Paul, are “sick and tired of being sick and tired”, please contact our office. We will have you complete a symptom survey form to find out what you are experiencing with your health. This survey is a great starting point and will help us uncover what your body needs nutritionally. From there we’ll work together to create a plan based on your individual needs.